For all your cake decorating requirements.. The love of cake decorating has been a big part of my life for a very long time. 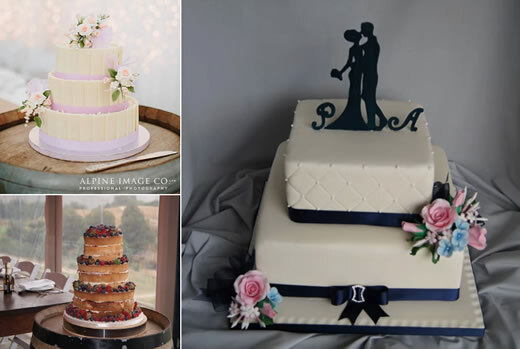 Nothing gives me greater pleasure than meeting a bride and groom, preparing for their wedding day, then seeing their faces when they arrive to pick up their cake or view it before their important day. All cake requests are important and I enjoy making and decorating cakes for all special occasions by recreating people's hobbies and interests onto their cake. I always endeavor to make and decorate my cakes to the very best of my ability. My motto is to finish all my cakes to the standard that I would only be happy to receive or better. Thank you for all your effort and time on my wedding cake. It was beyond perfect. Mum rang me in tears after she saw your decorations, and on my wedding day it took my breath away. You are truly talented. Thank you very much for the wonderful cake you created for our wedding. It was perfect and we received a lot of compliments on how beautiful and yummy it was. Thank you also for delivering the cake to me on Saturday morning. Thank you so much for the fantastic job of our wedding cake. It looked better than we could have imagined.